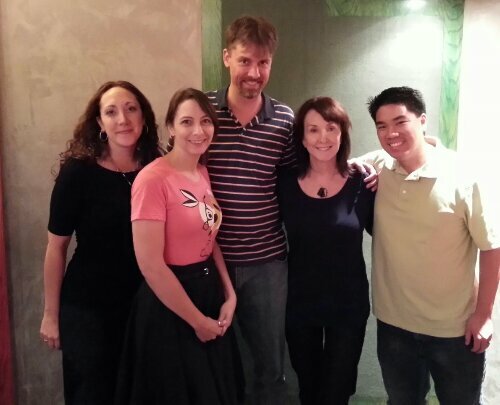 This week we started a new project with these insanely talented people (left to right): Michele Wells, Danna Bremer, Randy Coppinger, Tress MacNeille, and Jonathan Hui. No, I’m not standing on a box. I’m just freakishly tall.